A little more than a month ago, the body of Roosevelt Rene was found in a house owned by New York Giants cornerback Janoris Jenkins. The cause of death was determined to be suffocation/strangulation and Jenkins' brother William was charged with aggravated manslaughter. The Bergen County (N.J.) Prosecutor's Office said Rene, 25, was a Jenkins family friend who had been living at the Pro Bowl cornerback's house. [post_ads]William Jenkins, who was detained by sheriff's deputies on an alleged parole violation before he was placed in custody in Ontario County, N.Y., could be sentenced to 10 to 30 years in prison if convicted on the manslaughter charge. 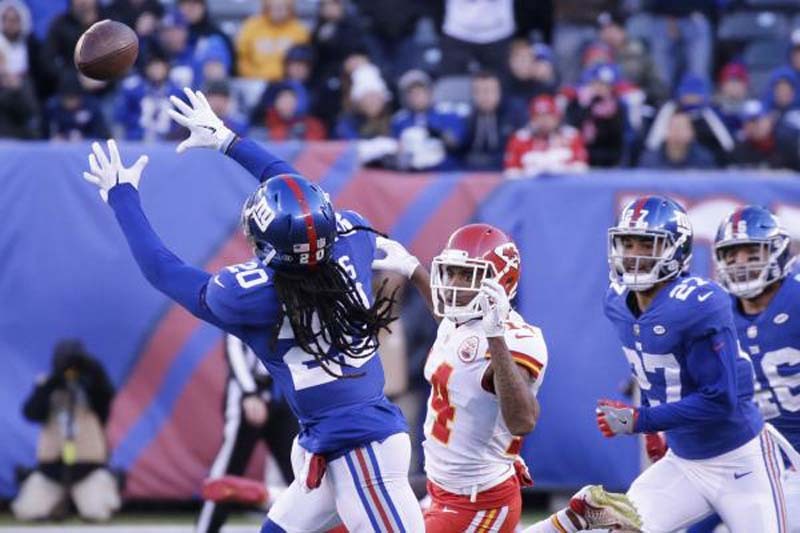 Janoris Jenkins was training in Florida when Rene's body was found on June 26 in the Giants cornerback's New Jersey house, about 10 miles from MetLife Stadium. Jenkins has been silent since the body originally was found. But on Sunday, he revealed a few details and explained how the killing has affected him. "It's shocking, but I still gotta come and play football, and right now, my main focus is to come out here and get better every day for my teammates and just stay focused," Jenkins said, via quotes distributed by the Giants. Jenkins has yet to talk to his brother, he said. "I haven't talked to him, to be honest, but I will, just see where his head's at, and as far as that, I'll [leave it there]," Jenkins said. Jenkins, for now, is focused on football, or at least trying to with the help of teammates and coaches. "But at the end of the day you have to be a pro," he said. "Things are going to happen in life, some things you can't control, and this is just one of those situations." Jenkins said that he and Rene were working on a music project and that at some point, he hopes to continue the idea. The 29-year-old Jenkins joined the Giants after four seasons with the then-St. Louis Rams. He has started 24 games since joining the Giants two seasons ago and is expected to be a starter once again in 2018.